We are your primary resource to help you find your Barclays Sort Codes. Typically it is very hard to find a comprehensive list of sort codes for Barclays on their website. We have take all the work away from you and have found the list which you can search using our Barclays sort code finder. You will find the branch sort code, along with the address for the branch too. So whether you simply need your sort code and don’t have your card handy, or wish to check payment processing to and from Barclays accounts, we have everything you need here. Take a look through the list or to validate your Barclays sort code do a search in the table below. Your Barclays sort code is usually located on your bank card. If you are a Barclays customer you will also find your sort code on bank statements, cheque and pay in in books, and also when you log into online banking. Most users of this site have either lost their sort code or they are processing payments to and from Barclays accounts on a regular basis and use the information here to validate and check payments. Most of the enquiries we receive for sort code checking are for validating faster payments. To validate faster payments there is a checklist of things you will need to consider before processing. First of all, check that your bank account can actually initiate faster payments. many people struggle when they want to make a payment to a Barclays sort code, and their account doesn’t actually support faster payments. Secondly, If you are making a payment for a bill, ensure you check the time scales on the bill to make sure to can be paid on time. An finally, Always double check the sort code. Once you initate payment, there is no way to call it back if there is an error and the money is sent to the wrong account. If in doubt always check. If you would like the full Barclays sort code list to download. click the link. The full list is in Microsoft Excel format, which means the data is editable and it can be attached and sent to others via email. 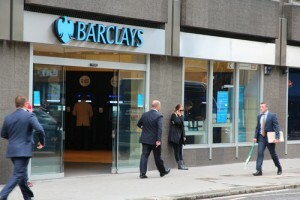 You can also upload the full Barclays sort code list as a feed for any computer systems in which you wish to link the data with, for example, faster payment validation. Many people who use this website don’t only want to check Barclays sort codes for their business before transferring cash as a validation service. Many business owners who use this resource are usually on top of their finances and services like invoice factoring can help them. Invoice factoring, sometimes also known as invoice discounting, is a service that allows businesses to improve their cash flow by essentially selling their invoices in the short term as a stop gap solution until the invoice has been paid by the customer. Invoice discounting can be a useful service to many of our sites users. So if you are validating a bank sort code, you should also ensure that your business cashflow is taken care of by investigating invoice discounting (invoice factoring) services too. There are quite a few companies that provide invoice factoring for small businesses, from Hitachi to Market Invoice; you’ll find an invoice factoring company that will suit your needs with short term cash flow alongside your Barclays sort codes validation needs. We try to keep all of the information regarding Barclays sort code lists accurate, however we cannot garuntee the accuracy of the information on this site. Please check with Barclays before finalising any payments.